ANKARA, September 17. /TASS/. Turkey is determined to continue strengthening its military positions in Syria’s Idlib province, Turkish President Recep Tayyip Erdogan told reporters upon returning from Azerbaijan on Monday. "It is true that we have been strengthening the positions of our troops [in Idlib]. We cannot afford to have any weak spots," he said, as cited by the Haberturk newspaper. "If we don’t strengthen our observation points, then someone else will take the initiative, which may lead to civilian harm," Erdogan added. 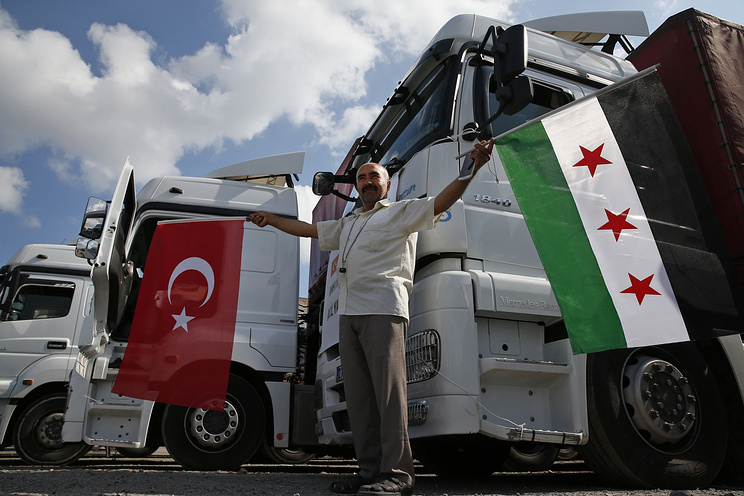 The Turkish media reported earlier that the country’s troops had been deployed to Syria’s Idlib and the Turkish-Syrian border. Turkey currently has a total of 12 observation points along the border, its troops are tasked with monitoring the ceasefire in the region. According to Erdogan, Turkish troops had been sent to Idlib at the Syrian people’s request. "No one in Idlib wave Russian, US, German or French flags. People there wave Turkish flags. They are not Turkish citizens, they are Syrians. We will not let these oppressed people down," the Turkish president stressed. 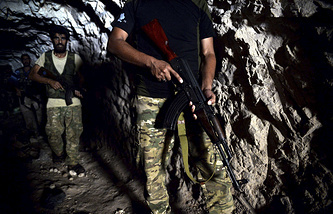 Idlib is the only Syrian province still controlled by illegal armed groups. In 2017, a de-escalation zone was established in the region, where militants reluctant to lay down their arms can move together with their families. According to United Nations Special Envoy for Syria Staffan de Mistura, Idlib currently hosts about 10,000 militants from the Jabhat al-Nusra and Al-Qaeda terror groups (both outlawed in Russia). In case Damascus succeeds in restoring control over Idlib, it will bring large-scale military activities in Syria to an end.